Scott Pruett to be honored in Long Beach. A number of activities surrounding the 38th annual Toyota Grand Prix of Long Beach, America’s most prestigious street race, are scheduled this week prior to Sunday’s IZOD IndyCar Series main event. Native Texan Jim Hall, whose innovative Chaparral race cars racked-up wins from Germany’s Nurburgring to Indianapolis Motor Speedway, will be honored by the Road Racing Drivers Club on Thursday, April 12, at the organization’s fourth annual West Coast banquet prior to the Toyota Grand Prix of Long Beach. Hall was a student at the California Institute of Technology in Pasadena when he started driving his brother’s Austin-Healey at weekend road-races in 1954. That led to the purchase of a state-of-the-art modified sports car in 1961, although the car’s performance failed to satisfy Hall. In partnership with fellow-driver Hap Sharp, Chaparral Cars of Midland, Texas, was born in 1962. From 1963 _ when the first Chaparral 2 was built _ to 1970, Hall’s engineering genius along with “skunk works” help from General Motors technicians turned out a series of dramatic race car inventions that have left a lasting impact on auto racing. Focusing on the USRRC and Can-Am series, Hall introduced the ultra-light chassis built completely of reinforced fiberglass. He then stunned the world with a high-mounted wing that rode horizontal down the straightaways but was tilted down in the turns when the driver released a pedal, giving him extra downforce in the corners. That was followed by the fixed wing, which became Hall’s trademark. Hall also introduced an automatic transmission for road racing, and the radical “vacuum cleaner” Chaparral 2J – so revolutionary it was banned before it could win a race. As a team-owner in the Championship Auto Racing Teams, Hall won the 1978 Indy 500 with Al Unser. In 1979, Hall debuted the Chaparral 2K – Indy-car racing’s first ground-effects car. Fellow-Texan Johnny Rutherford drove the “Yellow Submarine” to his third Indy 500 victory and CART and U.S. Auto Club championships in 1980. Hall made 11 starts in Formula One between 1960-63, and raced in the SCCA Trans-Am, USRRC and Can-Am Series in the 1960s and ‘70s, winning the 1964 USRRC championship. Competing in World Championship Endurance Racing against the might of Ford and Ferrari, the Chaparral 2D won the 1966 Nurburgring 1000, followed by the Chaparral 2F winning the 1967 BOAC 500. Hall left CART and open-wheel racing in 1982, then returned to the sport in 1991 with driver John Andretti. Hall was inducted into the Motorsports Hall of Fame of America in 1994, the International Motorsports Hall of Fame in 1997 and the Texas Motorsports Hall of Fame at Texas Motor Speedway in Fort Worth in 2005. Hall, 76, retired from racing altogether in 1996. He continues to reside in Midland, remaining active in the oil and gas business, and motorsports racing legacies topped by the meticulous restoration of his race cars. The RRDC Evening with Jim Hall will be held at the Hilton Hotel, 701 West Ocean Blvd. in Long Beach starting with cocktails at 6 p.m. and dinner at 7:15. Tickets are $150 per person, if purchased in advance. Tables for eight also are available at $1,200 each. Reservations are available at rrdc2@cox.net. Sponsor packages also are available by contacting Jeremy Shaw at rrdc2@cox.net. 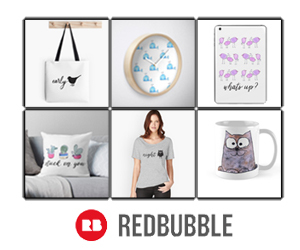 Proceeds will help support the RRDC’s young driver initiatives, including its groundbreaking safeisfast.com program and the Team USA Scholarship, which the RRDC has backed since 1997. Previous banquets have honored Dan Gurney, Parnelli Jones and Roger Penske, drawing fans and luminaries from all forms of motorsports. 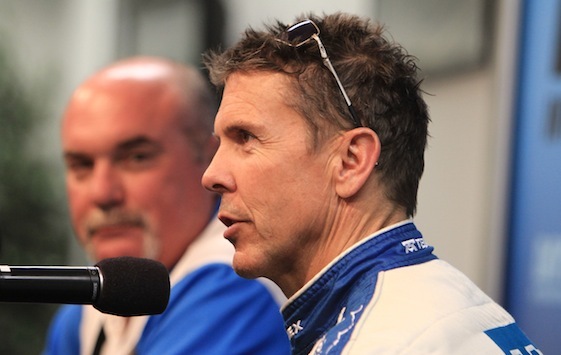 Multiple sports car champion Scott Pruett and the Galles Racing organization will be honored by the City of Long Beach and the Grand Prix Association of Long Beach during the seventh annual Long Beach Motorsports Walk of Fame induction ceremony on Thursday, April 12. The public is invited to the Long Beach Motorsports Walk of Fame ceremony at 11 a.m. on South Pine Avenue in front of the Convention Center, along the route of the Toyota Grand Prix of Long Beach. Pruett holds the American record of nine major sports car championships. He has four Rolex 24 at Daytona overall victories, four GRAND-AM Daytona Prototype Rolex championships and a class victory in the 24 Hours of Le Mans in France. His accomplishments at the Toyota Grand Prix of Long Beach include a second (1995) a third (1997) along with victories in the GRAND-AM (2006) and Trans-Am Series (1987). Pruett’s career totals feature 49 wins, 116 podiums and 30 pole-positions. Galles Racing boasts five consecutive wins at the Toyota Grand Prix of Long Beach from 1988-92, competing as Galles-Kraco Racing from 1990-92. Founded in 1980 by Rick Galles, the team scored 21 wins, including the 1990 CART championship and the 1992 Indianapolis 500 with Al Unser Jr., including Little Al’s victory over Scott Goodyear by 0.043-seconds in the No. 3 Galmer/Chevrolet. Unser Jr., Bobby Rahal and Danny Sullivan have secured wins for Galles Racing during its 22-year history. Walk of Fame medallions feature renditions of the racers’ cars and their major achievements in motorsports. For more information, visit www.lbmotorsportswof.com. Armed Services personnel – active or retired – are being offered special discounts to on-track activity at the Toyota Grand Prix of Long Beach from Friday through Sunday. Service personnel can call the LBGP ticket office toll-free at (888) 82-SPEED, ask for the “Military Promotion” and, if qualified, receive substantial discounts on Saturday and Sunday general admission tickets. Throughout the race weekend, military personnel can show their identification card at the box office and receive the same offer. In addition, the Grand Prix’s souvenir program carries information about “Hire A Hero” featuring Panther Racing’s JR Hildebrand, driver of the No. 4 National Guard Dallara/Chevrolet. The “Hire A Hero” program was started in 2006 by the Armed Forces Support Foundation to help the more than one million unemployed veterans in the U.S. Independently owned Toyota and Lexus dealerships also are interested in providing job opportunities to military service men and women who currently are in the process of, or who have already separated from, military service. To learn more about Toyota and Lexus dealership job opportunities, visit Toyotahireahero.com. For more information on the “Hire A Hero” program, visit www.uschamber.com/hiringourheroesor Twitter @hiringourheroes. Tickets for the Toyota Grand Prix of Long Beach, featuring six events topped by Race No. 3 of the IZOD IndyCar Series, are available now at gplb.com. Fans can select their seats, parking and paddock passes there or by calling the toll-free ticket hotline at (888) 82-SPEED. Also featured on gplb.com is the latest Toyota Grand Prix of Long Beach news, a downloadable ticket brochure and racetrack information, photos and ongoing announcements of special Race Week activities. Prices range from $26 for a Friday General Admission ticket to $130 for a three-day ticket that includes Saturday/Sunday reserved seating in grandstand upper levels. A wide variety of Hospitality Club packages also are available, including the Vista Club – featuring a nearly 360-degree view of the race circuit – located atop the Hyatt Regency Long Beach. Anyone traveling I-20 in west Texas owes it to themselves to pay a visit to the Petroleum Museum in Midland and spend some time in the Jim Hall/Chaparrel exhibit room. Better still is if you happen to visit when they take the cars out and run them!